Wynter Mitchell-Rohrbaugh (@WynterMitchell) joins the ladies to discuss her ability to read people’s energies, what JLo is like in real life, and what Britney Spears’ next career move should be. The ladies also chat about their favorite cover bands, body image, and Ben Affleck’s horrendous back tattoo. They answer a lady problem from an actress whose agent suggested she get a breast reduction to book more work. You still have 2 more weeks to donate to Wings of Rescue and receive a hilarious Death Becomes Her commentary track with the ladies and Karen Kilgariff! Donate $10 or more to WingsofRescue.org & email your receipt to MyFavoriteMurderLady@gmail.com for access and to help save furry little animals. Go to www.ThirdLove.com/LADY to get your perfect fitting bra and get 15% off of your first purchase! 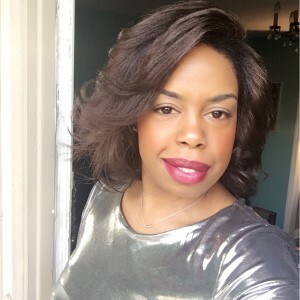 Wynter Mitchell-Rohrbaugh is a writer and digital strategist working with several stars you know and love. She has been published in Us Weekly, OK! Magazine, San Francisco Magazine, San Francisco Chronicle and Hollywood Life. In between her dreams of bringing her creativity to a mass market, she has spent the last 15 years getting her industry stripes at for Fox, DIRECTV, and William Morris Agency. She is currently the principal of her consulting company Pablojobs.com.